Like most things, especially things related to high tech and the internet, SEO/SEM tactics and strategies change over time. The reason for this is simple: Rapid internet growth. 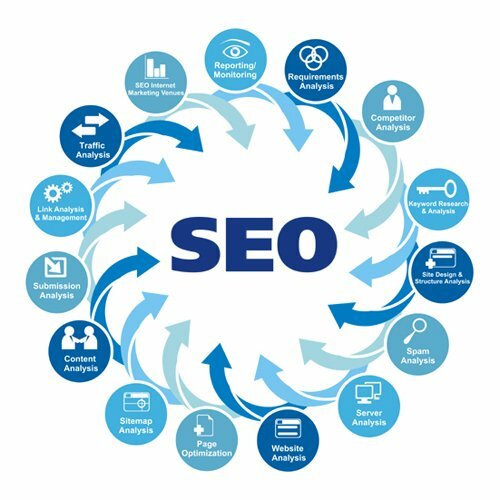 The core of SEO has been providing top quality content, attracting an audience and getting clicks and hopefully back links from them. But while this has always been and still is an important part of any effective plan it can no longer function alone. To paraphrase John Dunne, “No website is an island”. The new paradigm has shifted to social networking. While premium content is still vital this content must be used in combination with other techniques on social networking sites to attract a broader client base. The problem is that while social media is most definitely a buzzword in the business community most companies rarely use it at all and the rest only use part of its potential. This has also caused many SEO companies to limit social networking plans as well. Share all quality content links to all your social networking accounts but share each only one time. Re sharing repeatedly will actually cost you points with the search engines, besides spamming your friends or fans. Long with your fresh content from the website, such as blog articles or new products/services, add posts about industry issues that might be important to your customers. Images and videos play an important role in social networking. Today’s audiences are very visual and reading text attached to a visual will increase exposure of the post. Daily content on your social networking accounts is also vital. The entire idea of social networking is achieving name recognition and that means daily engagement with your audience. The effects of your social networking will also depend on two very important things: The size of your demographic and the quality of your targeting. Facebook for instance has a number of programs, usually for a small fee, that promote your page and can greatly increase your fan or follower base. If you product or service has a broad popular appeal, such as consumer electronics, you might not need services like this but if your market is smaller, such as sky diving classes, you will definitely need to use paid options within the social network to boost exposure to your precise target demographic. But if you want to get the most from your social networking opportunities you will need a team of full time professionals who know all of the ins and outs of the venue. The accounts should be monitored and added to regularly, without fail, because this will convince readers that your company is dedicated to their issues.